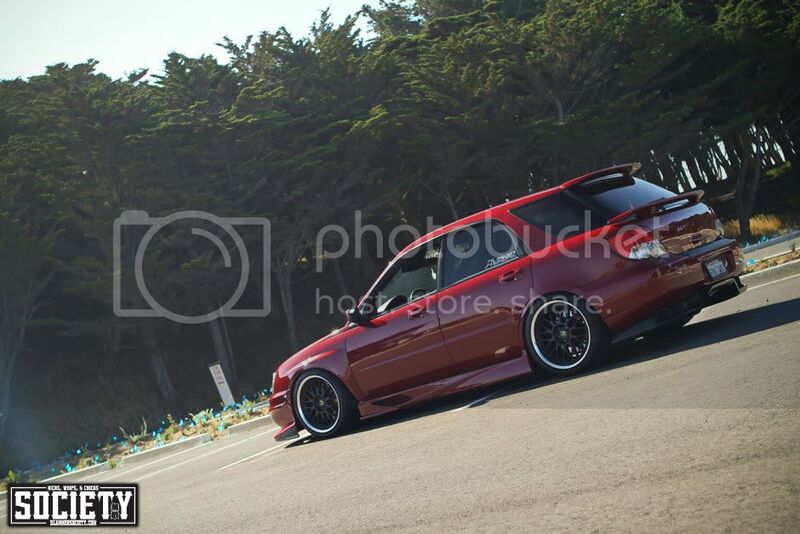 Congratulations to NorCal Chapter's Joseph Bacigalupi's 2005 Subaru-Voltex Wrx Wagon for being featured and written about in www.FatLace.com. Flashback to when we first launched our new site layout. 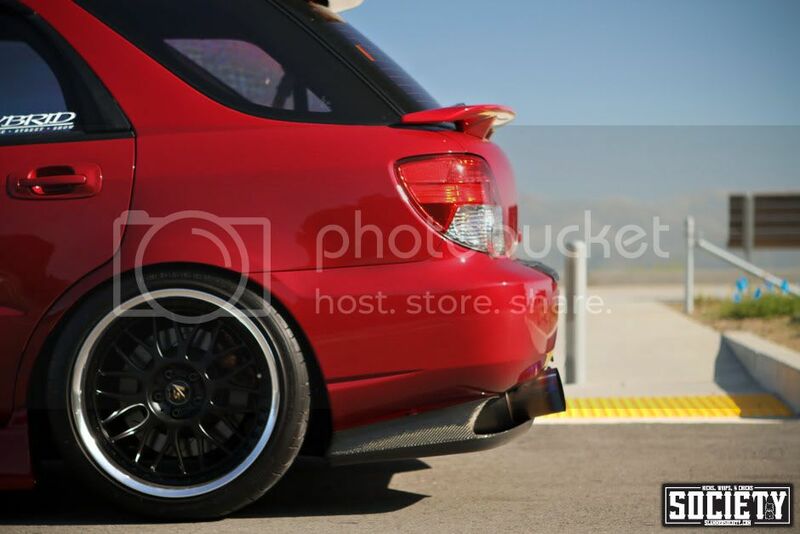 Remember that Subaru wagon with the modified Voltex rear diffuser that we featured? Well the owner, good friend of mine Joe Bacigalupi, has done some minor modifications to his wagon since then. I have known Joe for about 5-6 years now and he always seems to amaze me with what he has up his sleeve. When he first purchased the Voltex diffuser and told me he was going to hack it up to make it fit his wagon, I thought he had lost it. To spend that kind of money and risk blowing it all away with just one mistake is not something I would want to do. I guess that’s why Joe’s wagon stands out though, he was willing to do something that no one else ever attempted. But wait, it doesn’t stop there though. I guess Joe’s envy for sedan parts got the best of him. 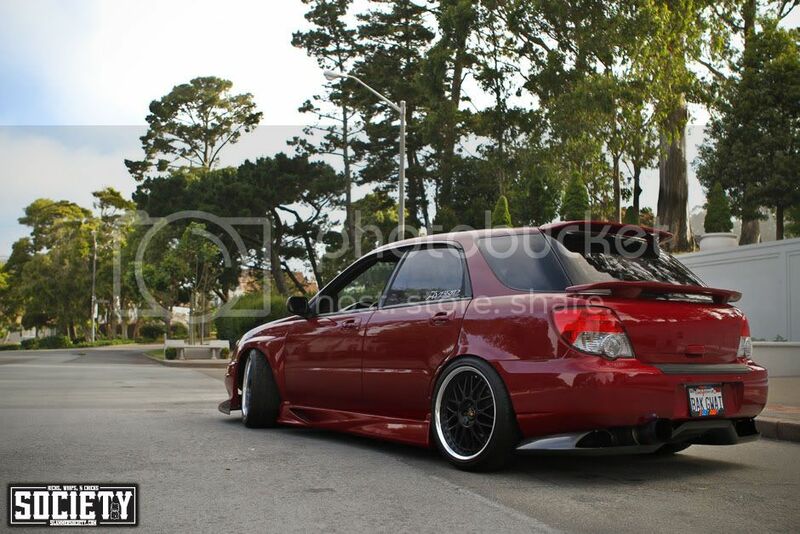 He purchased sedan front fenders prior to buying the diffuser to fit his 18×9.5 Work VS-XXs. 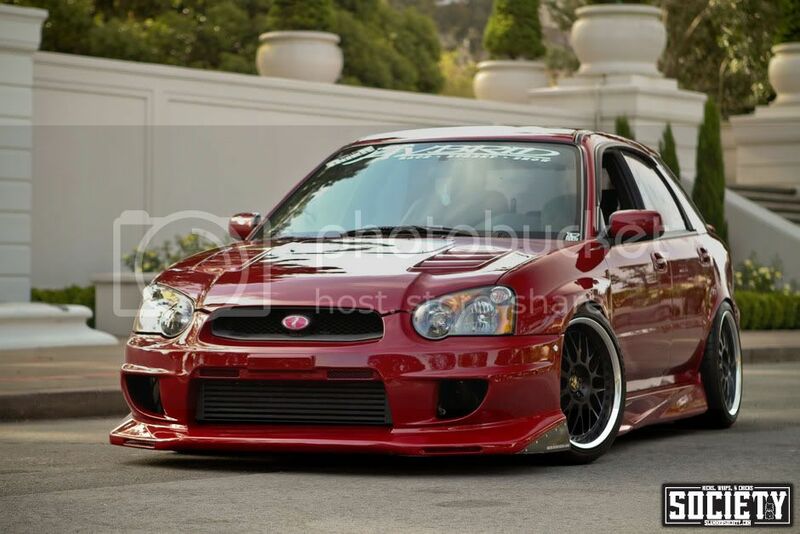 He already had the Voltex diffuser, why not buy the front bumper and sideskirts? DONE. Last christmas, his wife Ona handed Joe a folded piece of paper and she told him it was his Christmas present. 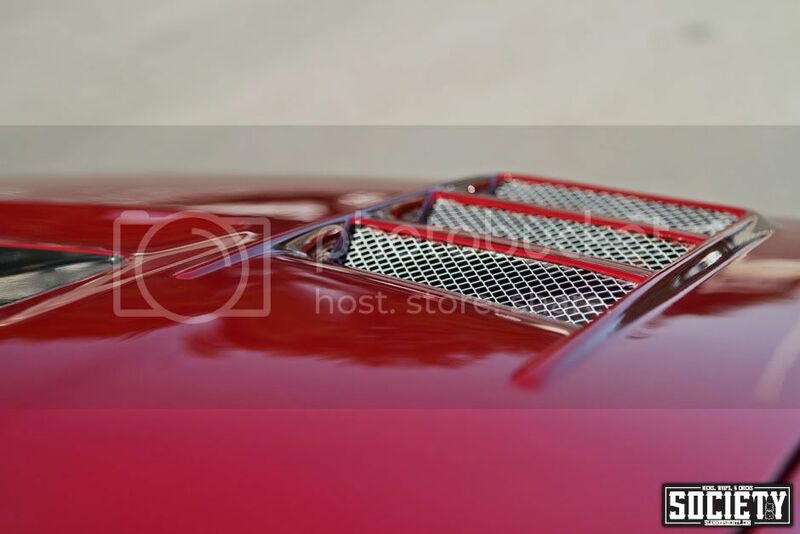 To Joe’s surprise, it was a paid invoice for the last piece of the puzzle, a Voltex hood. A few months ago, Joe was posting all this non sense about considering a part out on Facebook and on forums that we usually lurk. He even had pictures of his wagon disassembled. I didn’t know what was going on but I was skeptical. The weather was clearing up so we made our way to the beach. Every chance I get, I enjoy sitting shotgun in this wagon. The Recaro Evo 9 seats hug my man curves perfectly. We blasted down the Great Highway listening to Katy Perry through his killer sound system while I admired his redone interior. Joe went with the classy, yet gangster black suede with red stitching. We arrived at the beach before all the July 4th craziness began. This is my favorite mod, his custom license plate. 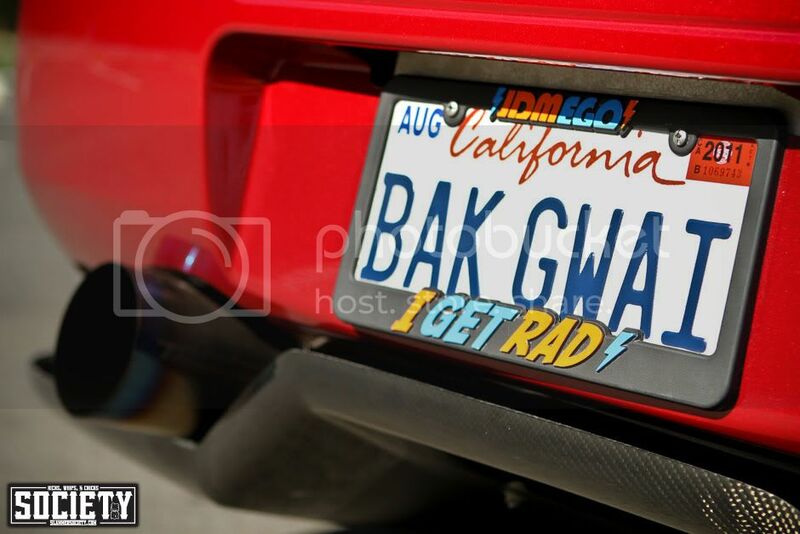 If you don’t know Chinese, ask one of your Chinese friends what Bak Gwai means. 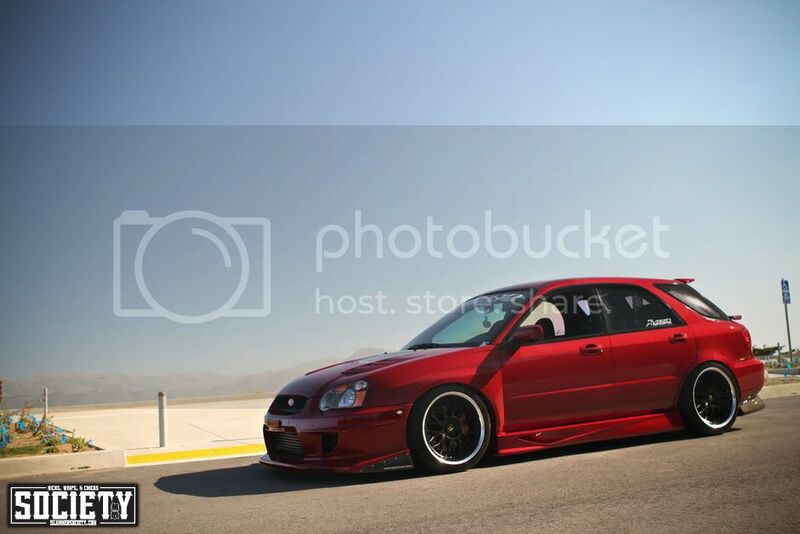 Joe is rocking the I Get Rad JDM EGO plate frame. What up Jay! 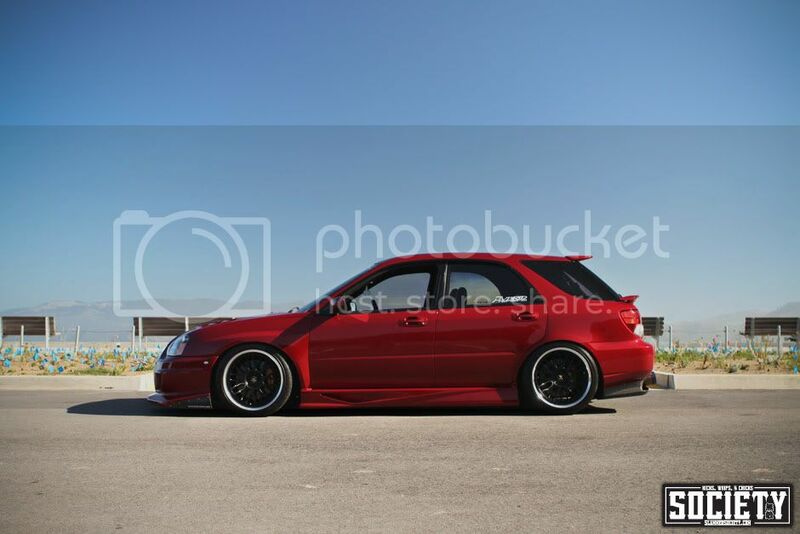 It’s a little strange seeing Joe’s wagon without the infamous Subaru hoodscoop but I guess it would serve a purpose thanks to his stealth front mount Perrin intercooler. 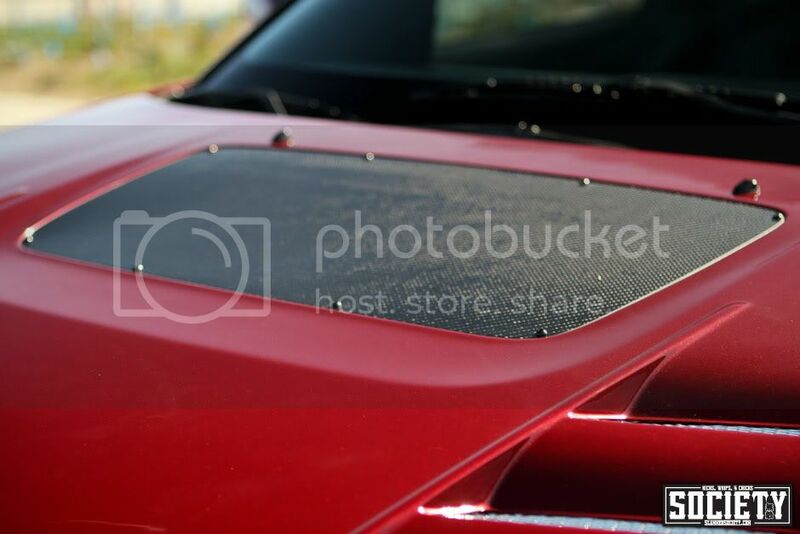 Why not just seal the hoodscoop opening with some carbon fiber. Under the hood, this wagon is equipped with a Tomei ARMS M7760 Turbo with all the supporting mods and a full titanium Trust Ti-R exhaust. 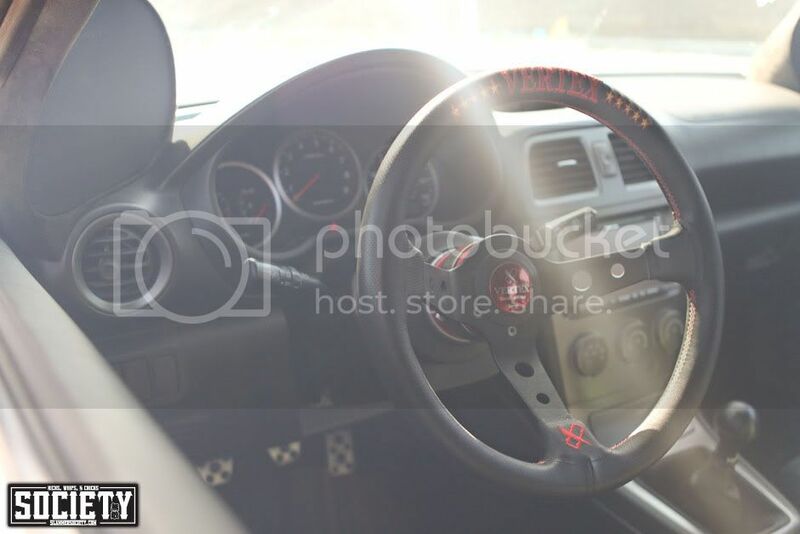 A Vertex 10th Anniversary 330mm steering wheel lets Joe get his GT5 on in real life. And that’s a speaker by the way above the vent. It sounds like Justin Bieber is singing to you directly in front of your face when your driving.